​The Church Meeting Room, built in 2004, is in the corner of the churchyard, adjacent to the church car park. The main room, which seats approximately 40 people, is used for a variety of church activities and is also available to hire. Coffee-Time: Weekly on Wednesdays 10.30 am - 12 noon. All welcome, donations to charity. 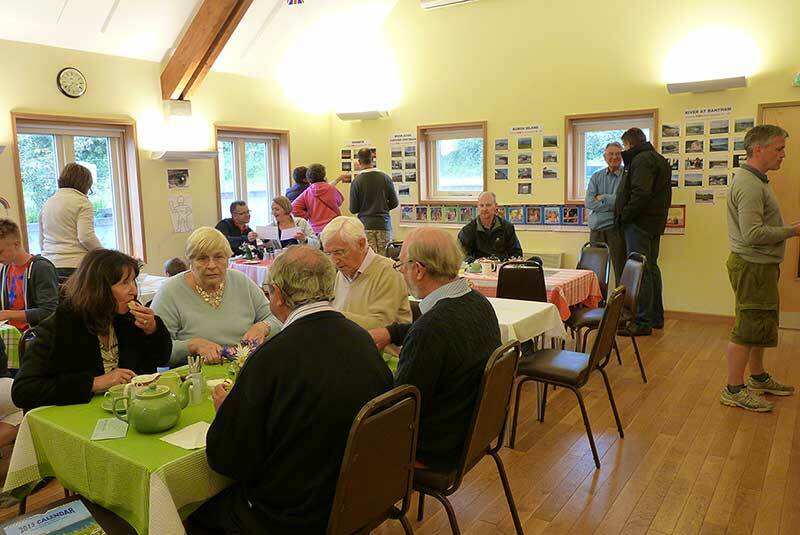 Lunch Club: 2nd and 4th Fridays 12.45 pm for those living on their own (pre-booking essential on 01548- 560655). September to June. Under 3s: Weekly (during term-time) on Thursdays 9.30 am – 11.30 am for babies and/or toddlers accompanied by parents/carers. Films for All: October – May 1st Tuesday 2.30 pm, showing recently released and older films. All welcome, donation to church funds. Homemade Soup: October – Easter 3rd Friday 12.30 – 1.30 pm. All welcome. Cream Teas: End of July to early September Thursdays 3.00 pm – 5.00 pm. All welcome. Transport can be arranged for all activities. Please contact Liz Webb on 01548-560090 or email thurlallsaints@btinternet.com to arrange transport or to hire the Meeting Room.